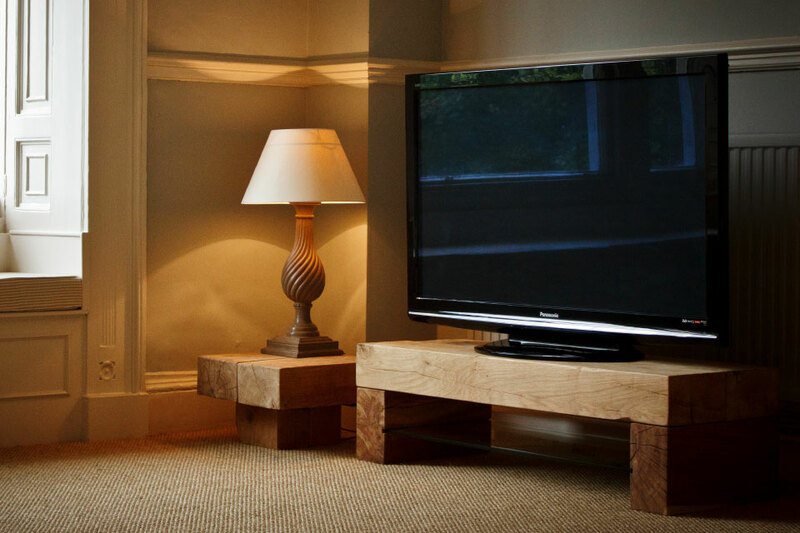 Abacus oak tv stands are engineered to fuse breathtaking natural materials with contemporary tech design. 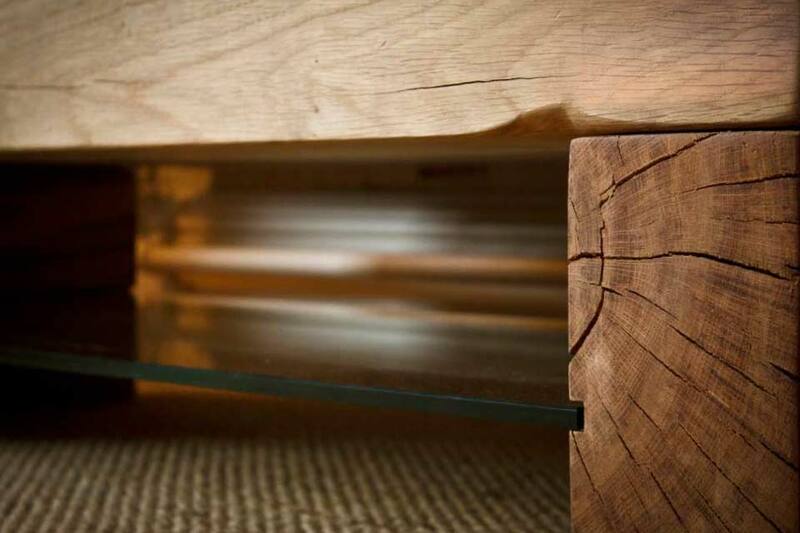 Strong yet subtle toughened glass combined with beautiful thick oak beams, each table hand-built to order to ensure the perfect fit for all of your tv and entertainment equipment. A custom-built Mantis TV table will add a raw natural style and carefully crafted sophistication to your living space. 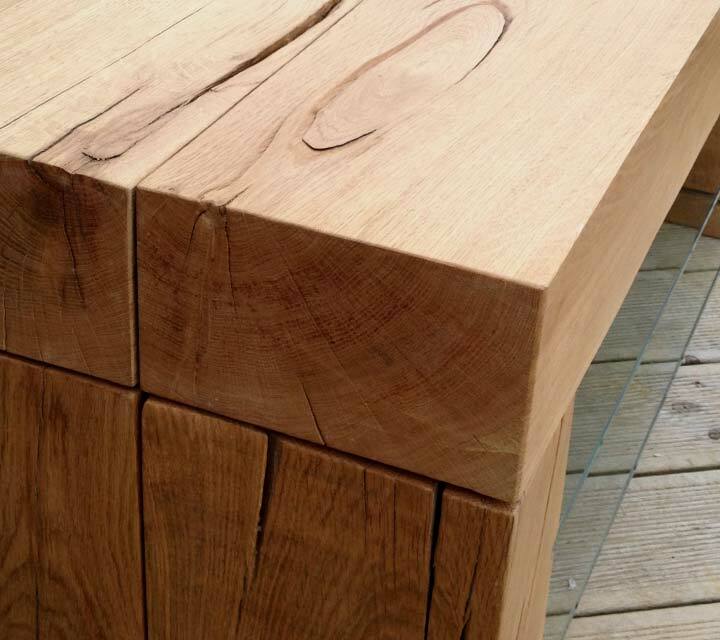 When you choose an oak beam table, you’re choosing huge pieces of beautifully sculpted natural material to live in your home and, like all natural materials, these huge oak beams have their own unique ways of adapting to their surroundings as they age. 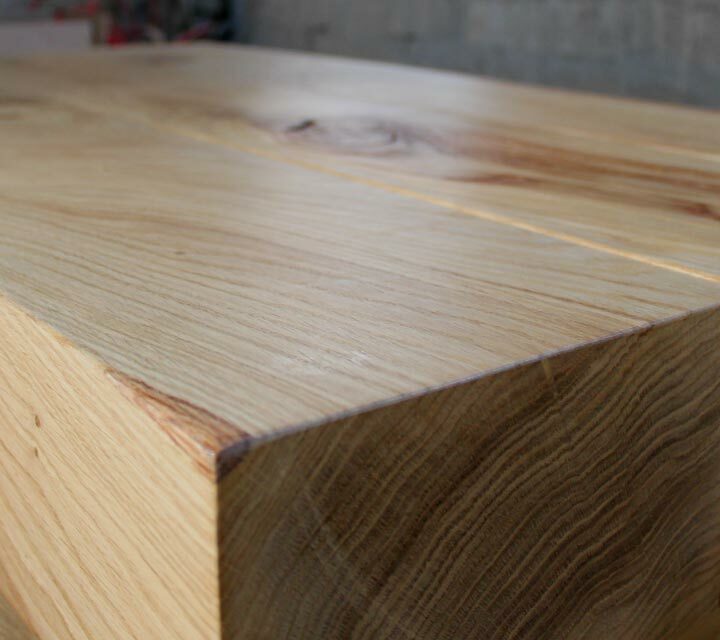 We are the only maker of oak beam tables who uses real French Oak Railway Sleeper grade timber, which is the very highest quality of oak sleepers that are produced. You can choose your Mantis oak tv table to be built in one of 2 distinct styles. The Mantis 1 is a minimalist sculpture of design with a single glass shelf. This low tv table works well as a platform for large TVs, keeping the centre-screen at seating eye-level. But it’s also a beautiful stand-alone table, sitting under a wall-mounted TV and subtly displaying your essential AV equipment. The Mantis 2 is a stylish and practical TV table, with a double-shelf design that ensures you have the space to keep your full array of home entertainment equipment. This table can be built to your desired height and the 10mm toughened glass shelves can be spaced apart to your specification to ensure the perfect table for your needs. Both tables come with 10mm thick toughened glass shelves, in your choice of clear or tinted grey. Every Mantis oak tv table is custom built to give you the perfect size table for your space and your AV equipment. Both tables can be built up to 2.5m in length, the low single-shelf Mantis 1 sits at a fixed 330mm height whilst the Mantis 2 can be built to a custom height from 400mm up to 600mm and with the choice of a single or double shelf.